Since its inception in June 2002, the Quirimbas National Park has protected over 750,600 hectares of Mozambique’s pristine land and marine habitats including six central districts of the Cabo Delgado Province in northern Mozambique. From the Miombo woodlands in the mountains down through the lush coastal forests that are rapidly disappearing elsewhere in east Africa, to the exquisite coral reefs and sea grass of the archipelago´s waters, this area is an ecologist’s dream come true. Animals that can be found on the mainland areas of Quirimabas National Park range from elephant and lion to wild dog and many other land-based species. 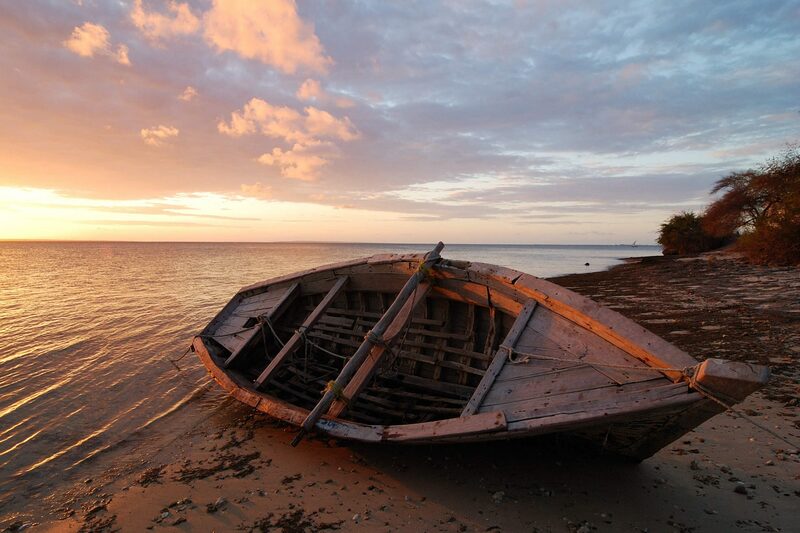 The Quirimbas Archipelago comprises over 30 islands which dot 110 kilometers of Mozambique’s magnificent coastline. For the most part, these uninhabited islands remain covered in thick mangrove forests with countless species of birds; yet white sands of pristine beaches flash brightly along the coast. Aside from stunning beaches, avitourism and wild animals, it is the abundant marine life in the waters of the Quirimbas National Park that render this destination truly exceptional. So far, 375 species of fish have been identified within these waters. Sea turtles, Humpback whales and several species of dolphin, as well as the endangered Dugong can all be found within the archipelago. Watch numerous schools of large game fish bustle about in a marine metropolis during the Quirimbas Rush Hour. The list of dive sites is practically endless, and yet so much of the Quirimbas National Park remains unexplored. For more about diving in Mozambique, click here. If you want to take advantage of the bush, beach and diving activities available at Quirimbas National Park, the award-winning Guludo Beach Lodge, located on the mainland, is an ideal choice. Ibo Island Lodge will host your stay in one of several magnificent mansions lovingly restored to their original elegance. Qualified bird guides are available for bird walks, top dive masters will take you on a dive in the deep blue or a snorkeling excursion along the coral reefs. One-day and multi-day kayak tours are also operated off Ibo Island. Contact Dana Tours today to book your perfect getaway in the Quirimbas National Park.